ISTANBUL, TURKEY. 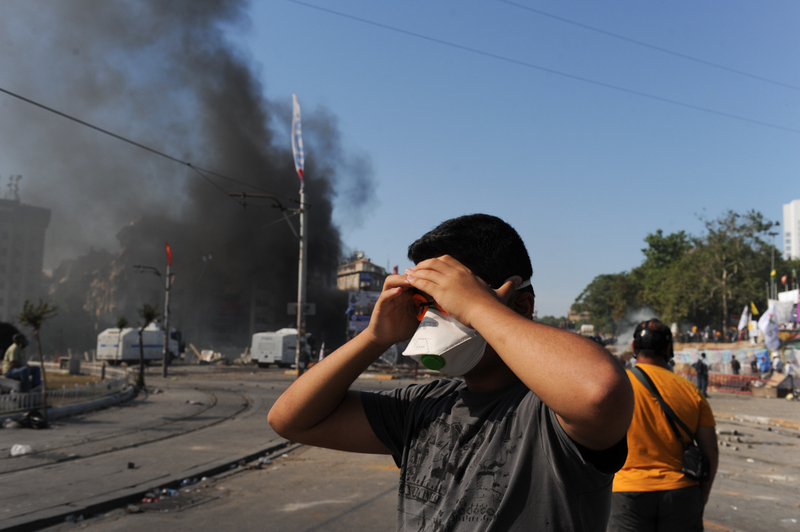 A man is seen protecting his eyes from tear gas as smoke billows from a flaming vehicle in Taksim Square as riot police move on the square on June 11, 2013. After 10 days of protest and occupying Gezi Park adjacent to Taksim Square, riot police moved to retake the square; last night, the Prime Minister called a meeting for tomorrow with protest leaders.